Join us to celebrate the launch of Deborah Alma's debut poetry collection, Dirty Laundry, published this May by Nine Arches Press. Deborah will be joined by poets Pat Edwards, Meg Cox , Roz Goddard and Angela France. 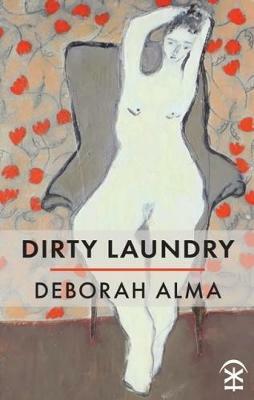 Deborah Alma's debut poetry collection Dirty Laundry is raucous, daring and honest, drawing contemporary women’s lives and those of our foremothers into the spotlight. It voices bold, feminist songs of praise: of persistence, survival, adventures of sexual rediscovery, each reclaiming the space to speak its mind and be heard and seen. A perfect remedy for the heartsick and weary, Alma’s intimate and particular poems are resolute enchantments, a form of robust magic. Deborah Alma was born in North London, has lived on the Welsh/ Shropshire borders for the last 25 years where she brought up her 2 sons and she lives with the poet James Sheard. She teaches creative writing, works with people with dementia and at the end of their lives and is the Emergency Poet in her 1970’s ambulance. She edited The Emergency Poet-an anti-stress poetry anthology and The Everyday Poet-Poems to Live By (Michael O’Mara Books) and was the editor of the landmark #MeToo poetry anthology, published by Fair Acre Press. Her first poetry pamphlet True Tales of the Countryside was published by The Emma Press. She is currently Honorary Research Fellow at Keele University. This is a free event but tickets are limited so please book in advance.